A chemical fertilizer is defined as any inorganic material of wholly or partially synthetic origin that is added to soil to sustain plant growth. Organic fertilizers are substances that are derived from the remains or byproducts of natural organisms which contain the essential nutrients for plant growth. Ammonium sulfate, ammonium phosphate, ammonium nitrate, urea, ammonium chloride and the like. Cottonseed meal, blood meal, fish emulsion, and manure and sewage sludge, etc. Chemical fertilizers are rich equally in three essential nutrients that are needed for crops and always ready for immediate supply of nutrients to plants if situation demands. Adds natural nutrients to soil, increases soil organic matter, improves soil structure and tilth, improves water holding capacity, reduces soil crusting problems, reduces erosion from wind and water, Slow and consistent release of nutrients. Several chemical fertilizers have high acid content. They have the ability to burn the skin. Changes soil fertility. Have slow release capability; distribution of nutrients in organic fertilizers is not equal. Chemical fertilizers are manufactured from synthetic material Organic fertilizers are made from materials derived from living things. Artificially prepared. Prepared naturally. One can prepare organic fertilizers, themselves or can also buy. Have equal distribution of three essential nutrients: phosphorous, nitrogen, potassium. Have unequal distribution of essential nutrients. Chemical fertilizers turn out to be cheaper because they pack more nutrients per pound of weight. Organic fertilizer may be cheaper per pound but works out to be more expensive over all because more of it is needed for the same level of nutrients. A chemical fertilizer is defined as any inorganic material of wholly or partially synthetic origin that is added to the soil to sustain plant growth. Chemical fertilizers are produced synthetically from inorganic materials. Since they are prepared from inorganic materials artificially, they may have some harmful acids, which stunt the growth of microorganisms found in the soil helpful for plant growth naturally. They’re rich in the three essential nutrients needed for plant growth. Some examples of chemical fertilizers are ammonium sulphate, ammonium phosphate, ammonium nitrate, urea, ammonium chloride and the like. Organic fertilizers are substances that are derived from the remains or by products of organisms. Organic fertilizers depend upon the microorganisms found in soil to break them down and release the essential nutrients. Organic nutrients are rich in phosphorous, nitrogen, and potassium, but in unequal proportions. Examples of organic fertilizers are cottonseed meal, blood meal, fish emulsion, and manure and sewage sludge. There are two types of organic fertilizers: first is the synthetic type which is organic compound produced artificially (e.g., Urea, a common organic fertilizer; the other type is natural organic fertilizers because 100% of the ingredients used to create a typical natural organic fertilizer come from nature (e.g., fish extract, seaweed and manure, guano, and compost materials). Fertilizers are used to provide nutrients to the plants for their good growth. Soil nutrients’ deficiency is the prevalent problem among home-garden owners. One of the distinct advantages of chemical fertilizers over organic fertilizers is that chemical fertilizers are rich equally in all three essential nutrients: nitrogen, phosphorous, and potassium. On the other hand, organic fertilizers may be rich in one of the three nutrients, or may have low levels of all the three nutrients. Organic fertilizers are generally much more expensive than chemical fertilizers, mostly because chemical fertilizers have more concentrated levels of nutrients per weight of product than organic fertilizers do. One needs several pounds of organic fertilizer to provide the same soil nutrient levels that a single pound of chemical fertilizer provides, and the higher cost of organic fertilizer is one of the biggest reasons that organic produce is more expensive than non-organic. (The other big reason being lower organic yields, on average.) 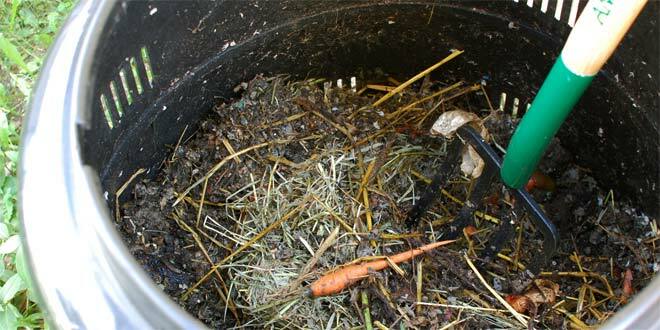 Although it is possible to make a lot of one's own organic fertilizer as well, once the labor, time, and other resources are accounted for, homemade organic fertilizer is usually more expensive than store-bought chemical fertilizer too. One aspect of the organic fertilizers is their slow-release capability. Slow-release capability of organic fertilizers has both advantages and disadvantages: Slow-release means there is less risk of over-fertilization but sometimes this slow-release of organic fertilizers is not able to fulfill to needed supply of the nutrients, whenever required. In contrast to organic fertilizer, chemical fertilizers are always there to provide immediate supply of nutrients to plants if situation demands. One of the main disadvantages of chemical fertilizers is that, in contrast to organic fertilizers, several chemical fertilizers have high acid content like sulfuric acid and hydrochloric acid. This high acid content results in the destruction of the nitrogen-fixing bacteria, which is helpful in supplying the nitrogen to a growing plant. In contrast, organic fertilizers support the growth of nitrogen-fixing bacteria..
Chemical fertilizers always have a high total NPK (nitrogen:phosphorous:potassium), from 20 to 60 percent or more. The total NPK for organic fertilizer blends will always be low. Fourteen percent is about as high as it gets. Natural fertilizers like manure have been in use for centuries as these were the only form of nutrition that could be provided to crops before the invention of chemical fertilizers. Chemicals were added to natural fertilizers after the second world war. Post the war, with advancement of technology there was an explosive growth in artificial fertilizers due to improved productivity. But of late, there has been mass awareness of the eco friendliness of the use of organic fertilizers and many are using those methods again. There are two ways to measure fertilizer use in a country. One is by nutrient content — how much nitrogen, phosphate and potash are contained in the fertilizer applied. 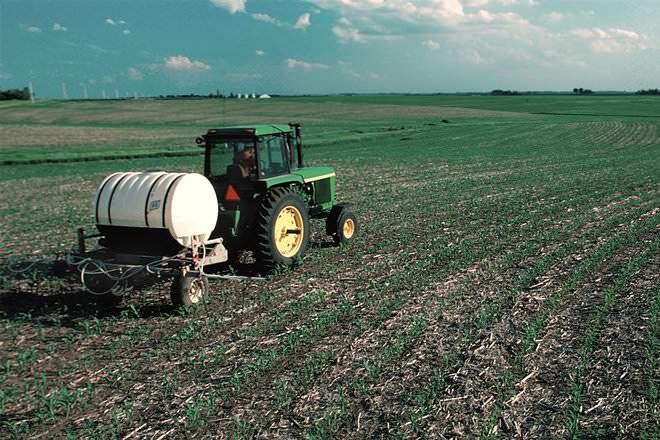 In fiscal year 2004, 23.4 million tons of nutrients were applied in the US. Another way to measure is in total tonnage — the total tons it takes to deliver the nutrient content. In fiscal year 2004, 57.8 million total tons were used in the United States. The world's largest producers and users of fertilizers are the United States, China, India, Russia and Brazil. Some reports suggest the US Fertilizer market to be around $40 Billion of which organic fertilizers occupy only about $60 Miliion. The rest of it is the share of the various artificial fertilizers.